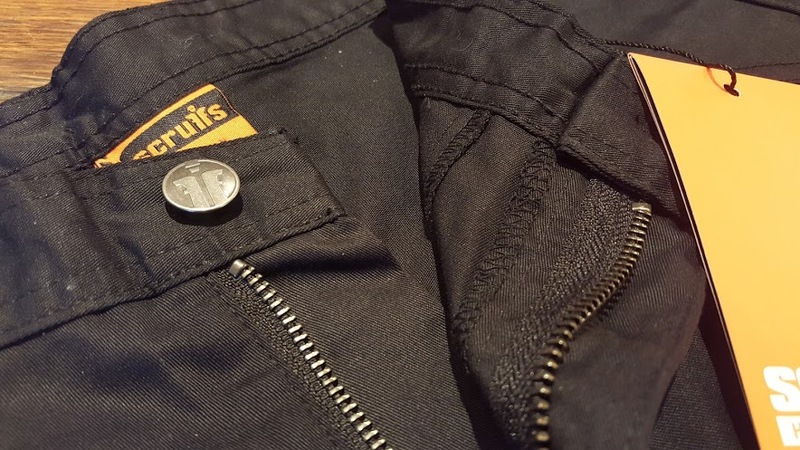 Scruffs are makers of hardwearing clothes that are ideal for workwear. They're also ideal for camping, gardening, home mechanics and whatever else you want to get up to. Plenty of pockets, reinforced material and easy to wash. 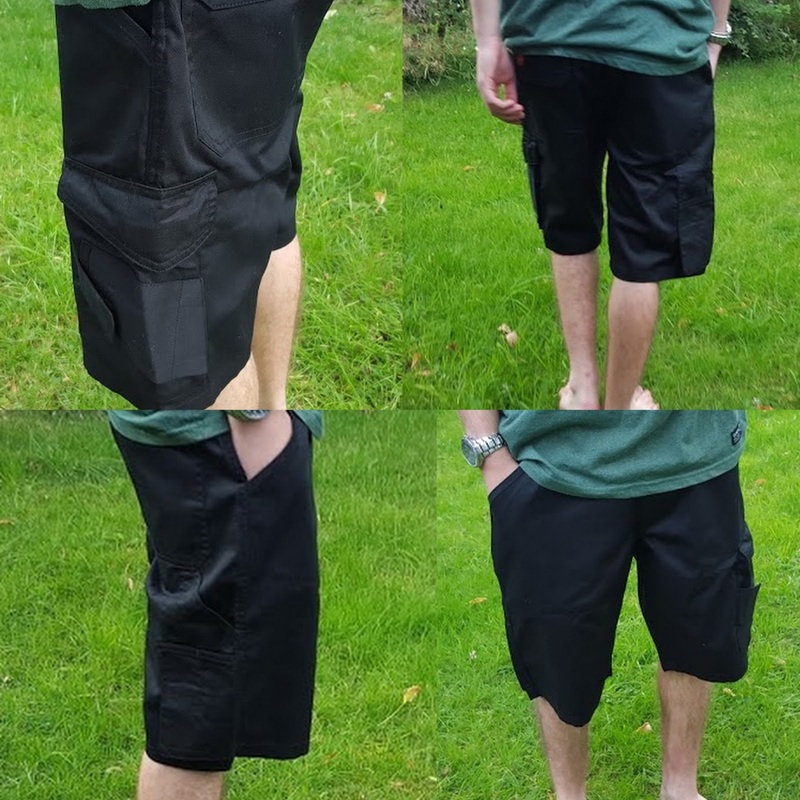 The first pair of shorts we were sent were the Worker Lite Shorts in Black. 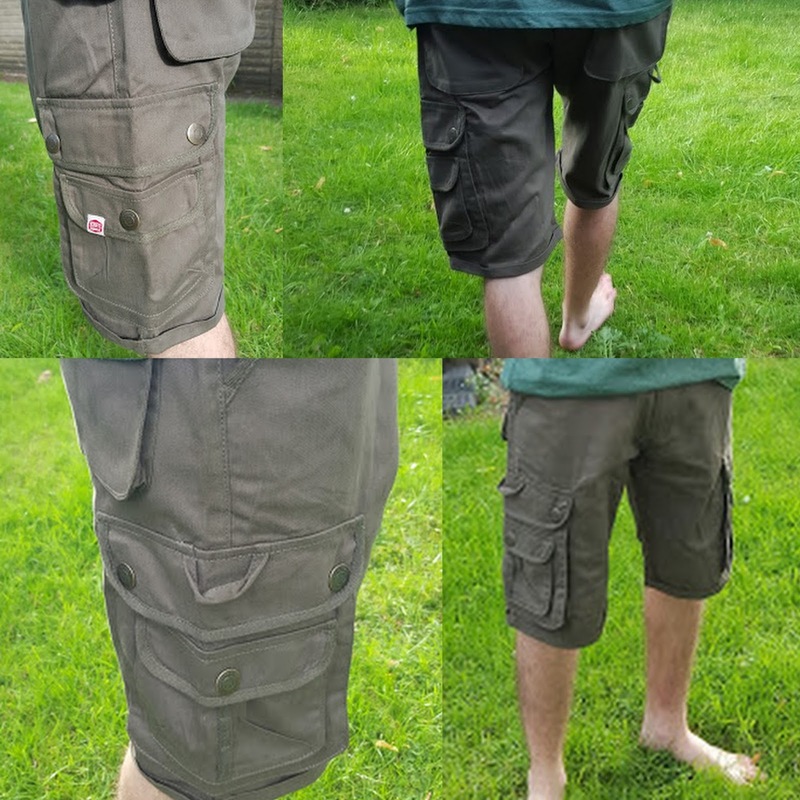 These are a really lightweight polycotton pair of shorts with 4 pockets at the top, plus 2 velcro fastening leg pockets and 2 long leg pockets for your screwdrivers etc. Beautifully made with perfect seams and stitching, and little details that will prolong the life of the pockets and knees etc. 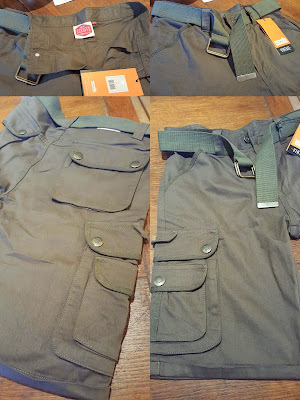 These are more 'workwear' than my son's usual shorts, with a straight leg which looks slightly baggier on his skinny pins, but still look good and should last well. They can be washed at 40 and tumble dried, but because the material is so lightweight they dry really quickly (perfect for camping). I took these photo's before they'd been washed, so they do look a little 'new', which has washed out considerably with only 1 wash. Retailing at £16.95 these are a good everyday wear, especially in a hot Summer or working indoors in hot conditions. The second pair of shorts we've been sent are the Cargo Shorts in Charcoal. These are lovely. Cotton twill with 4 pockets at the top (rear ones fasten), plus 4 fastening pockets on the legs. Obviously heavier and thicker material than the Worker Lite shorts, these are the type of shorts my son chooses to wear most of the time. They come with a fully adjustable belt, and the heavier weight material does give a less 'worker' line. They look really good and my son is delighted with them. The Scruffs Cargo Shorts retail at £19.95 and I think that's a fair price to pay for shorts that he'll still be wearing in a couple of years time. You can tell the quality and the stitching is perfect. All of the fastening pockets are incredibly useful whether yo are using them for work or not. Scruffs.com currently have a Summer Sale with up to 60% off a huge range of their products - I think if you or your bloke are after hardwearing clothes that'll last, including trainers, boots, clothing and accessories, it's definitely worth a look. The sale ends at the end of August - so be quick! We were sent our shorts for review.